Seventy boats from 11 countries have entered the 2018 Star World Championships, which will unfold October 5-15 at the Tred Avon Yacht Club (TAYC) in Oxford. Competitors will travel from Argentina, Belgium, Brazil, Canada, Denmark, Italy, Germany, Norway, Sweden, and Russia, as well as from across the U.S. for the championship. 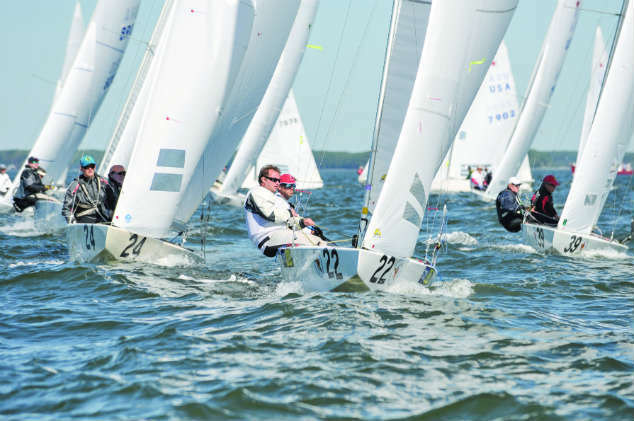 “This is only the fourth time in 96 years that the Worlds have been in the Chesapeake and only the third venue on the Bay, so it’s kind of special to say the least. We’re very honored to have been chosen,” says event chair Andrew Parish. He notes that past Worlds were held at Annapolis Yacht Club (2000) and at Gibson Island (1929 and 1951—back when the defending champion had a say about venue, as in the America’s Cup). To have this championship at his home club is thrilling for Parish, who plans to compete as crew for skipper Schuyler Benson. The event chair and a hundred volunteers have been working on this for three years. “We’ve had tremendous support from out club: financial support and housing in particular. Fifty-five teams are staying with members instead of at hotels,” Parish says. You can’t pull off a 10-day event with 70 boatloads of racing sailors without sponsorship support. 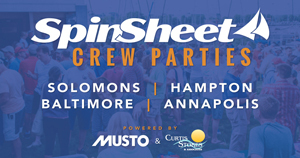 The Maryland Sports Commission, Avon Dixon Insurance Agency, Charles Schwab, Goslings Rum, Benson and Mangold Real Estate, among others such as the Chesapeake Bay Maritime Museum (CBMM) and Campbell’s Boatyards, have stepped up to make this event a reality. In addition to great fall sailing on the Tred Avon and Choptank Rivers, competitors have some lively social activities to look forward to, such as a dinner at CBMM. In the exhibit “At Play on the Bay” Star sailors will see the rigged 1930s Star boat hull #1444 that’s part of the standing exhibit, as well as get a feel for the overall regional maritime heritage celebrated there. Racers will also enjoy an opening cocktail party, daily post-race dockside “beer and soup,” and a steak and crabcake awards dinner. Internationally acclaimed artist and Eastern Shore resident Marc Castelli was commissioned to paint the winning trophy. Among the accomplished Star class sailors who will be on the race course in Oxford are past Worlds winners George Szabo, John MacClausland, Paul Cayard, Augie Diaz, and Eric Doyle and reigning 2017 World Champions Eivind Melleby (Norway) and Josh Revkin (USA).